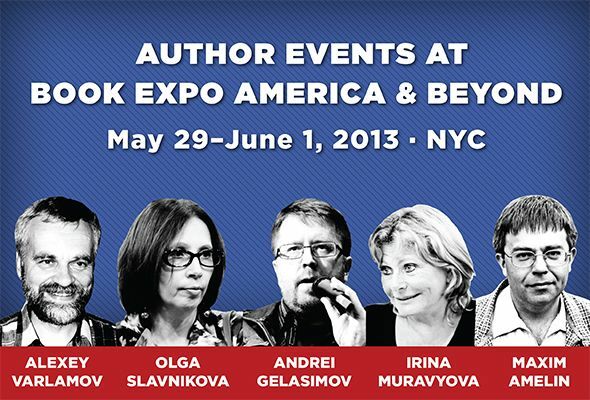 Read Russia returns to Book Expo America on May 29–June 1, 2013! Now in its second year, Read Russia will once again bring together leading Russian authors, American literary translators, scholars and publishing insiders to engage with readers on contemporary trends in Russian literary culture and Russia’s rich literary traditions. In addition to its program at the Expo, Read Russia will also host a series of free public readings and discussions at literary venues around the city. Join us for the latest and greatest from the Russian literary frontlines! A discussion on the current state of Russian literature at home and abroad with poet and editor-in-chief of OGI publishing house Maxim Amelin, author and literary scholar Aleksey Varlamov, and Overlook Press editor Mark Krotov. Moderated by acclaimed literary translator Antonina W. Bouis. This event is made possible through Poets House's Literary Partners Program. From War and Peace to Life and Fate, war has frequently appeared as a central topic in Russian literature throughout the centuries. Andrei Gelasimov, author of Gods of the Steppe and Thirst, talks with prize-winning literary translator Marian Schwartz about writing on war, its societal aftermath and personal toll. The conversation will be moderated by Rohan Kamicheril, editor at Words Without Borders. Critically acclaimed Russian authors read selections from their works, with English translations read by prize-winning literary translator Marian Schwartz. Hosted by Ann Kjellberg, Editor at Little Star Journal and Contributing Editor at New York Review of Books. Saturday, June 1, 1:00 p.m.
Moderated by writer and journalist Vadim Yarmolinets.